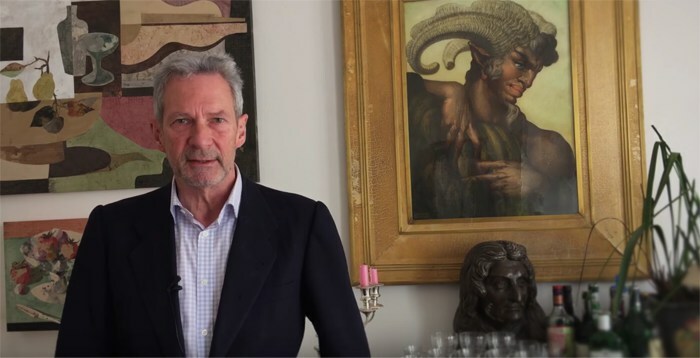 William Thuillier has been an independent art dealer for twenty three years. He started his career at Sotheby’s and then became a director of the Alexander Gallery which he ran for several years before leaving to set up his own business. He has lectured widely on art and architecture for the extra mural department of London University, the Metropolitan Museum, New York and the J.Paul Getty Museum, Malibu. His business is situated in the heart of the West End, among the most prestigious galleries and auction houses. William Thuillier has built up his expertise in the area of Old Master and paintings, but he also advises clients on the acquisition and disposal of Impressionist and 20th.century works. Specifically he tends to focus on pictures which require research and identification, thereby giving them a fresh lustre in the market. Over the last few years he has successfully unearthed and sold works by Sir Joshua Reynolds, Joseph Wright of Derby, Jacopo Amigoni, John Wootton, Alessandro Magnasco and many other painters. Some of these have resulted in sales to museums, such as the National Maritime Museum Greenwich,the National Portrait Gallery, and Tate Britain , London. As an agent he has advised clients on the disposal of important works, such as a major double portrait by Sir Peter Lely, and works by Jean-Baptiste Pater and Hubert Robert. He also works closely with decorators sourcing suitable works for period houses, as well as contemporary interiors, in London and the country. He has participated in several international art fairs in Tokyo, New York, Dallas and Monte Carlo, and is a regular exhibitor at the British Antique Dealers’ Fair and The Masterpiece Fair. Ancillary services include a research service on the attribution and iconography of pictures, as well as a service for cleaning and framing pictures.